Because of how long it takes me to read Japanese novels, I’m generally very picky about what I commit to. But once I start reading a book I almost never give up, regardless of how tough things get. When I heard that music was a central theme of “Honey Bees and Distant Thunder” (蜜蜂と遠雷) and that it won two literary awards (the 156th Naoki Prize as well as the Nationwide Booksellers Award 2017), without further ado I decided to take the plunge and find out what this novel has to offer. Written by Riku Onda (恩田 陸) and published by Gentosha (幻冬舎) last year in 2016, this book chronicles the story of a handful of talented musicians of various ages and backgrounds as they participate in an international piano competition. There are a few other characters that don’t compete themselves but have some connection to the contest, such as a reporter or judge. In fact, I think it’s fair to say that the real main character in this tale is the competition itself. I felt this book had some really great things going for it. But at the same time, it disappointed me in a few areas, leaving me with mixed emotions. I’ll now go into what I consider the strong and weak points of this novel. To begin with, I deeply appreciated how it was written with a laser-focus on a small set of topics: the nature of music and how it impacts our lives. I felt the story’s main purpose was to assist the author present her ideas about music, and there are quite a few places where she waxes a bit on the philosophical side. Some people might be turned off by this but I really enjoyed it. A little research confirmed my hunch the author herself is a serious fan of music, especially Piano music. This book also touches on related areas such as the life of a musician and the dynamics of music competitions. But the real treasure of “Honeybees and Distant Thunder” is the eloquent, creative descriptions of various pieces of music and how the various characters perceive them. Riku Onda adeptly uses imagery and other techniques to really get the reader to feel the music just like the characters are, even if you don’t know the songs in question. Many of the pieces that appear in this book are popular classical works by well known composers such as Chopin and Liszt. This leads to two different ways to appreciate these sections: look up and actually listen to the pieces you aren’t familiar so you can appreciate things even more, or just try to imagine each song yourself based on the vivid, detailed descriptions. I think there is merit to both approaches, and you can even accommodate both by doing two read-throughs of these sections. After I finished reading this book I discovered there is actually a 2-disc CD set for sale with many of the songs on it, though I would consider reading the full track listing ahead of time a spoiler, despite the fact it is also published in the beginning of the book. The biggest drawback of this book, to me, is a actually a direct result of its laser-focus on music I mentioned above: despite well-crafted characters, the plot itself felt a little too slow and straightforward, lacking enough surprise turns that I look forward to in a novel like this. Without giving away any major plot spoilers, I’ll just say some of my expectations formed early on in the book weren’t met to my satisfaction. But, to be fair, when was the last time a story progressed just as I wanted it to? (and would that be a good thing?). Also, due to my slower reading speed in Japanese I think it’s a little harder for me to appreciate slow-building plots, and had I read this book in English I might have enjoyed the story more. As there is currently no English translation available, for now you’re only option is to read this novel in its original Japanese. Overall, I’d rate the language in this book as advanced, best suited for someone with a few solid years of Japanese study under their belt. The conversations scattered around the book are mostly informal, Tokyo-dialect, which are not very difficult and may even teach you some useful phrases to use in your own speech. However, the rest of the book (especially the descriptions of music) have a pretty high level of vocabulary and kanji, and like many adult novels furigana is pretty sparse. If you have the patience to look up the words you don’t know or infer their meaning from the context, “Honeybees and Distant Thunder” can be a great vocabulary builder. It’s also good to know that a majority of the terms aren’t lofty, academic words you’d never find in other contexts, save a few music-related words. Riku Onda also tends to reuse certain words several times (I remember that たちまち was especially frequent) that make it easy to pick them up through repetition. I’ve dabbled in translation as a hobby, so I often think of Japanese books in terms English translation. I feel this book would pose an especially challenging translation, especially with respect to the music descriptions and related emotions that use abstract concepts or other things that would be tricky to express in another language. But on the other hand, I think the translator would also have a little more freedom to take artistic liberties in passages like this. If I had the opportunity to translate this officially, I can see myself (ideally) visiting an piano competition or two, and researching to see what sorts of words and expressions are typically used to describe classical piano pieces. Whomever does the translation (if there is ever an official one), I just hope they love piano music as much as Riku Onda cleary does. 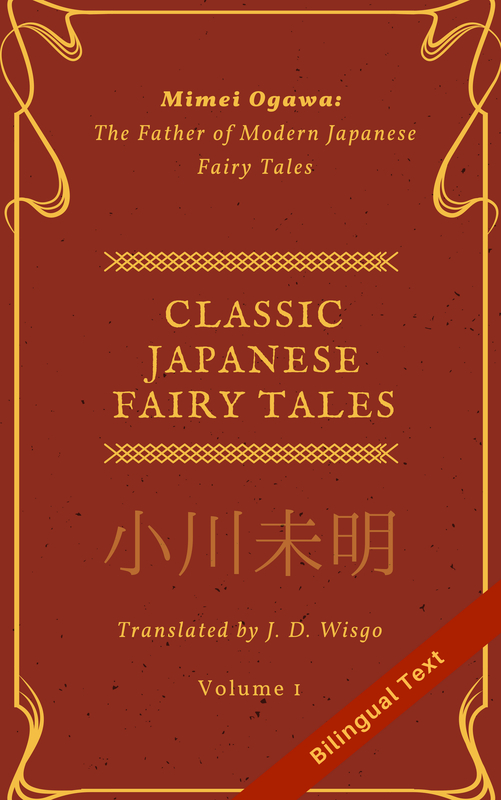 Another question I like to ask myself when reading Japanese books is whether they would sell if translated to English, which translates to whether English-speaking audiences can sympathize with the characters and understand the ideas raised. I think that for “Honeybees and Distant Thunder,” the answer is a resounding yes. It’s partially because music is such a universal theme, but also because classic piano music and similar competitions are popular in the US. I also liked how even though the contest is held in Japan and many of the characters are Japanese, more than half of the contestants come from different parts of the world. Finally, the fact this book seems to be selling quite well and very highly rated (it was on the top ten sellers in the literature category of Amazon Japan when I last checked) is another indicator it may sell handsomely in other markets. So when all is said and done, how do I feel about this book? Despite my disappointments about the plot, this novel’s unique treatment of musical performances was very memorable and I’m glad to have read it. I highly recommend it for anyone who enjoys music in any form, whether that be performing as a hobby or career, or simply listening for pleasure. By the way, music has been an important part of my life since I was very young, and I’ve played my own share of classical piano (though I am far from the level of the characters in this book). I think this may be one of the reasons this novel will always have a special place in my heart. You can get this book at the usual places such as Amazon Japan (paper book) or Booklive (digital book), and you can even read a free sample (試し読み) at the latter site. I actually bought a copy of each so I can enjoy the feel of the physical book at home, grabbing a few minutes to read here or there on my phone when I am out somewhere. I bought the hardcover version at Kinokuniya bookstore. If you would be interested in reading an official English translation of this book, please feel free to like or comment on this post. I can’t promise anything, but you never know.